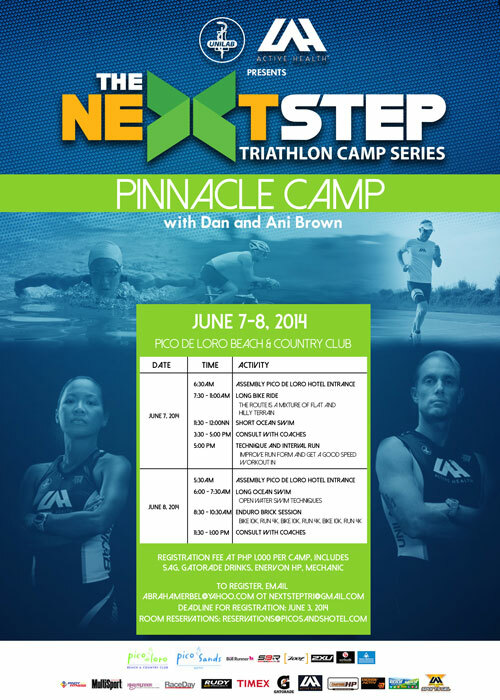 Posts Tagged with: "Next Step"
Join Coach Dan and Ani Brown’s Pinnacle Camp on June 7 to 8, 2014 at Pico de Loro. Last day of registration is on June 3, 2014. Interested participants may email nextsteptri@gmail.com or abrahamerbel@yahoo.com. TBR is proud to partner with Coach Dan and Ani Brown’s The Next Step Camps and Clinics. I joined The Next Step tri camp last year (read my review HERE) and I plan to do so again this year (just gotta get the hubby and kids’ go signal for next week’s camp. Crossing my fingers!) in preparation for triathlons I plan to join for this 1st half. Yiiiikes. The thought of swimming and cycling freaks me out (that’s an understatement), so I feel pretty fortunate we have camps like this to equip wanna be triathletes or triathletes who want to improve some expert advise and guidance. See below for The Next Steps complete calendar for 2012. 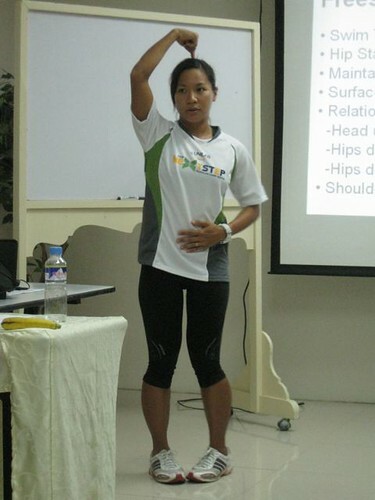 Will cover swim theory and technique for the first part and swim application and stroke analysis for the second part. Will cover bike theory and technique for the first part and a short bike ride for the second part. Partner bike shops, mechanics, and bike-fit systems present. Will cover run theory and technique for the first part and a run workout and run analysis for the second part. 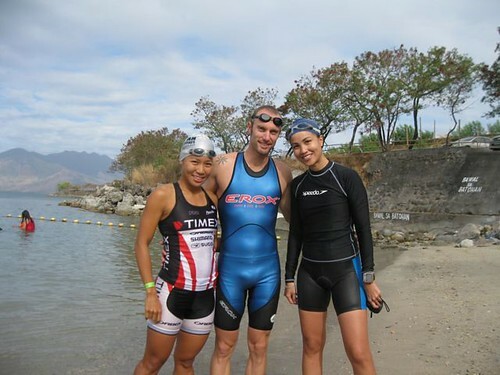 A great fitness booster for the 2012 racing season and educational weekend for both beginner and experienced triathletes. Partner bike shops, mechanics, and bike-fit systems present. Join this camp and be race ready for the first few sprint and Olympic distance races of summer! Partner bike shops, mechanics, and bike-fit systems present. For triathletes who want to work hard and prepare well for their long distance race events. Partner bike shops, mechanics, and bike-fit systems present. 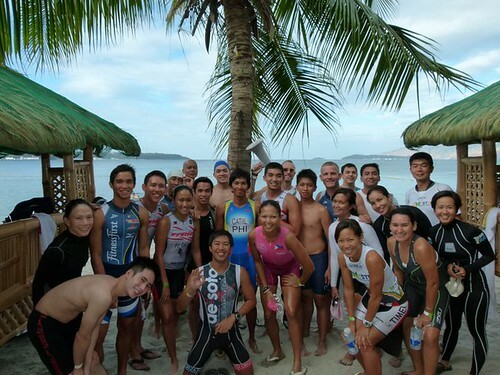 A great tune up weekend specifically designed for the 70.3 Philippines in Cebu. We want to help you have an awesome race! Partner bike shops, mechanics, and bike-fit systems present. How to register: Available only to registrants of Tri United Race Series. Triathlon 101 for those who are new to the sport and want to arm themselves with practical lessons in swimming, biking, running, transitions, nutrition, etc. Partner bike shops, mechanics, and bike-fit systems present. 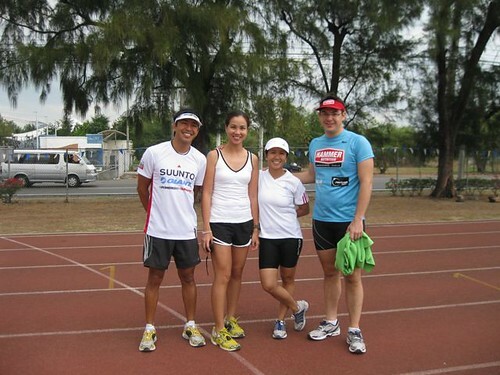 Last April 9 to 11, 2011, I was invited to join The Next Step Triathlon Camp of Coach Dan Brown and Ani de Leon in Subic. Although I’ve done two mini sprints in the past few years, I still never considered myself a triathlete. 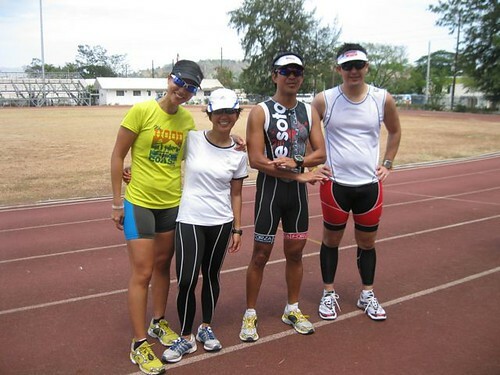 I’ve been a “wannabe triathlete” for God knows how long. The Next Step Tri Camp was my chance to literally get my feet wet (or perhaps get tossed into the pool?) and immerse myself in this brand new world of triathlon. 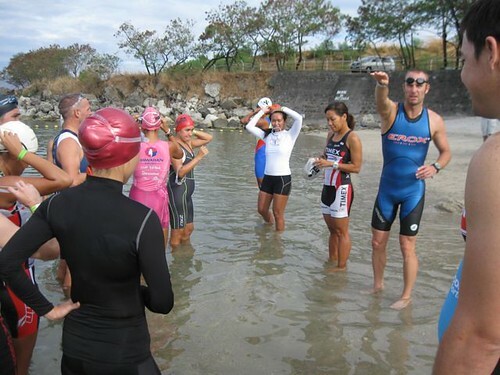 I was anxious about the swim and bike, but very much excited about running in Subic. Good thing my teammates from Hammer, Bic and Mike, and Bic’s friend, Adel, were there to quell my fears and keep the entire weekend light and fun. 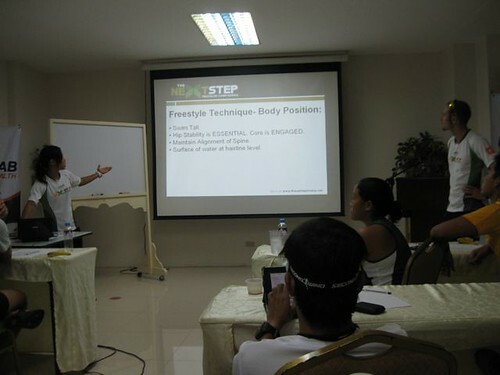 The Next Step Triathlon Camp was focused on triathletes signed up for the upcoming KSwiss Subic International Triathlon on April 30 to May 1 hence it was entitled: SUBIT FOCUS. At the start of the year, I hoped I could join this, but with life getting in the way, I thought it best to pass until I could commit to serious training. After a welcome briefing by the organizers headed by Doray Ellis of Team Fitness First and coaches Dan and Ani at Travelers Hotel where we were all booked, we headed out for a full day’s workout. SWIM: We headed out for the pool where were grouped into two levels: Advanced to be led by Coach Dan and Intermediate led by Coach Ani. This would be the same grouping for the entire weekend. I had attended a basic swim session with Coach Ani a couple of years back, so most of my fears were laid to rest when she mentioned it was almost the same intro session. She taught us proper technique, a few drills, and asked us to do a number of laps. I hadn’t swam in over a year so this light workout was a lung-busting session for me. RUN: Still dripping wet, we headed for the track. Coach Dan discussed basic form and asked us to perform drills then we split into groups. Our group did intervals: 6 x 800 meters. Need I say that this way my favorite portion. The four of us covered our laps together. No anxieties, no worries in this area, just all smiles from my end. BRICK: After lunch with a lecture by Coach Dan and Ani and time for rest, we headed out for a bike workout on the roads of Subic. I’m still such a newbie with the bike, so I believe I was the slowest of ’em all here. Boy was it a struggle. Coach Ani analyzed our technique one-by-one and gave us a few pointers on the bike. Bend my elbows. Keep my knees closer together. Move my seat up higher later on. During the workout, I struggled with the gearing, maneuvering through the traffic, and I was exhausted midway, but man was I overwhelmed with the sights of Subic. It was during that time on the bike that I realized I could seriously fall in love with this! Before I knew it, I covered 30km—my longest distance on the bike ever! I was ecstatic. As soon as we returned to the hotel, Bic, Mike, Adel, Doray (one of the organizers of Next Step) and I ran for 10 minutes. We then had dinner and listened to another lecture by our Coaches. By the evening of Day One, Bic, Mike, Adel and I had bonded over a mad hunt for petroleum jelly and wine (success with the former and complete losers with the latter) as well as the long day of training we endured together. We even had a new team name just for the four of us! SWIM: After coating our bodies with loads of petroleum jelly to protect us against jelly fish stings (despite Coach Dan’s assurance that they swept through the waters prior to our workout), we dove into the cold waters of Dungaree beach in Subic. It was my first open water swim ever and boy did I love it. Uhm, well, up until the 1st lap. By the 2nd lap, I swallowed salt water and I was gasping for air. This non-swimmer thought it best to rest before I…er…drowned. 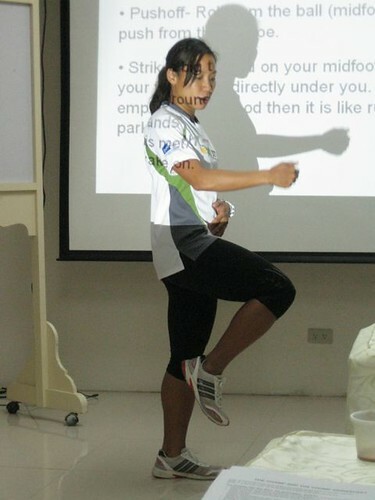 Coach Ani demonstrated how to quickly enter the water and exit out into transition and we were asked to do the same. We also performed drills such as skulling. RUN: I was relieved to have touched land again. We headed for the track and ran 2 x 1600, 2 x 800, 2 x 400, and 2 x 200. I loved every minute. BRICK: My tri camp friends swore they would help me through the bike ride that I so dreaded. Adel, Bic, and Mike decided to pace me through the bike ride instead of joining the advanced group. Such love from my tri camp friends! Adel, an experienced cyclist from Team Suunto and Team Secondwind, stayed by my side from the start until we climbed those steep hills of Subic. Our course was the route for SUBIT. Adel guided me through every step: gear up, gear down, and my favorite “If you’re tired climbing, just stare at the pavement before you.” I definitely enjoyed the start of this bike ride more than the previous day, it felt easier and lighter. However, after breaking my record distance the day before and all the rigorous workouts we went through as well as the fact that it was all uphill (!!! ), I started to feel exhausted. When we reached the steep downhills, I thought the worst was over. Boy was I wrong. The downhills were so fast that I clung on to the brakes for dear life. I must’ve gripped so hard that my right hand froze! Holy crap, I wondered how I could stop the bike if my hand was numb?! Shortly after, I felt some tightness on my hips too. With all these signs, I pulled over and threw in the towel at 30k. For me, 30k was a feat. To cover the distance on two consecutive days was spectacular. I skipped the run and headed straight to the next tough workout: a nap! Over dinner, we had another lecture where Coach Dan and Ani shared race day tips especially for those who were registered for the upcoming SUBIT. There was also a briefing for the next day’s race simulation. This was race simulation day. Most of the participants were serious triathletes or intermediate triathletes registered for SUBIT, I was neither. Hence, I decided to get a head start on my drive home and bid my dearest tri camp buddies the best of luck and tons of fun. I left that morning feeling empowered with what my body and mind could achieve and thrilled about the prospect of a new challenge in triathlon. Oooh boy, here we go! excellent organization from pre-race registration to workouts. Schedules, checklists and maps were provided prior to the event. Briefings were clear and frequent. 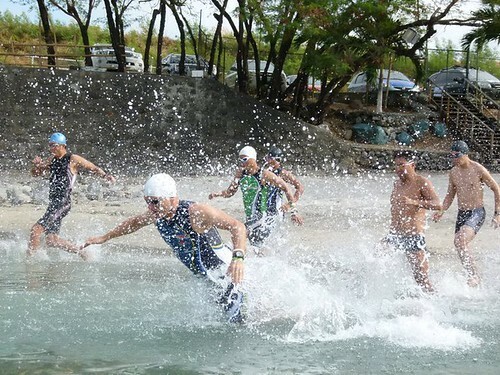 Organizers were experienced triathletes who knew the ins and outs of Subic. suggest to add one road run to the program…please? The Next Step Triathlon Camp is a great way for triathletes—from intermediate to seasoned—to boost their knowledge on triathlon and gain practical tips and techniques from the best coaches in the country. 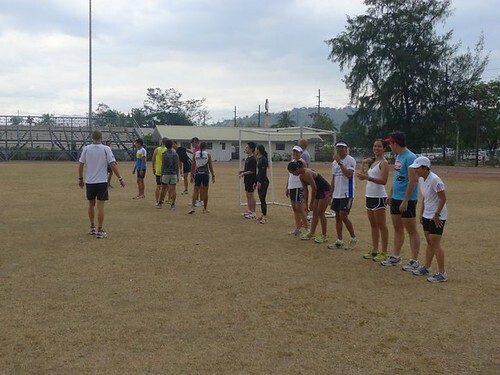 The triathlon camp is well-organized, well-staffed, and run by an experienced and professional team. Expect to be challenged physically and mentally while having a grand time working out. For those interested in The Next Step Triathlon Camp, click HERE to visit the website.